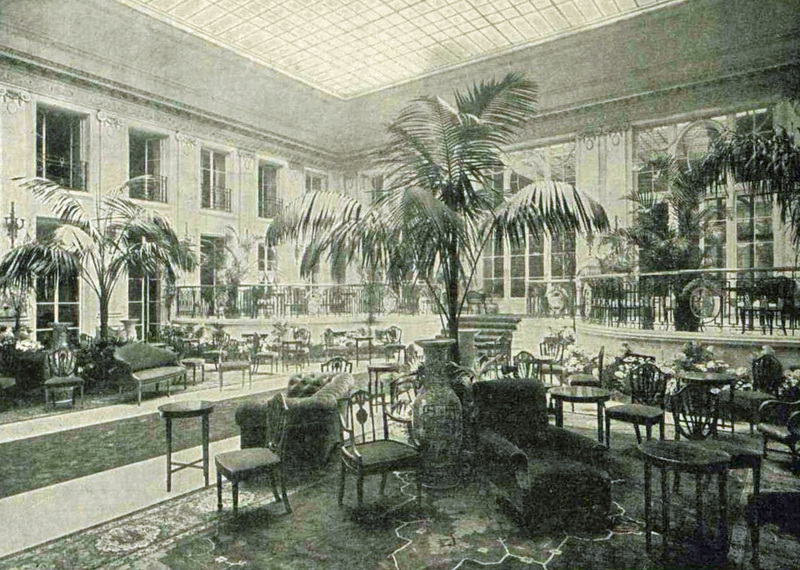 Palm Court of the Carlton Hotel, a wonderful place to have lunch in London during the Edwardian era. Editor’s note: This short story posted below is from the public domain and is one of 33 from the last collection of short stories (The Toys of Peace...) written by the witty British author, Hector Hugh Munro, better known by his pen names "Saki" or "H. H. Munro", compiled posthumously by his friend, Rothay Reynolds. The collection was published in 1923 several years after Munro’s death in World War I. “From the little I’ve seen of the Smithly-Dubbs I don’t thing I want to cultivate their acquaintance,” said Lady Drakmanton. “All the same, I think you ought to ask them to a meal of some sort,” persisted Sir James. gobble and gabble. Why can’t you take them on, Milly?” she asked, turning hopefully to her sister. “I don’t know them,” said Milly hastily. “What time is your lunch tomorrow?” asked Lady Drakmanton reflectively. The next day Lady Drakmanton made some marked variations in her usual toilet effects. She dressed her hair in an unaccustomed manner, and put on a hat that added to the transformation of her appearance. When she had made one or two minor alterations she was sufficiently unlike her usual smart self to produce some hesitation in the greeting which the Misses Smithly-Dubb bestowed on her in the club lobby. She responded, however, with a readiness, which set their doubts at rest. 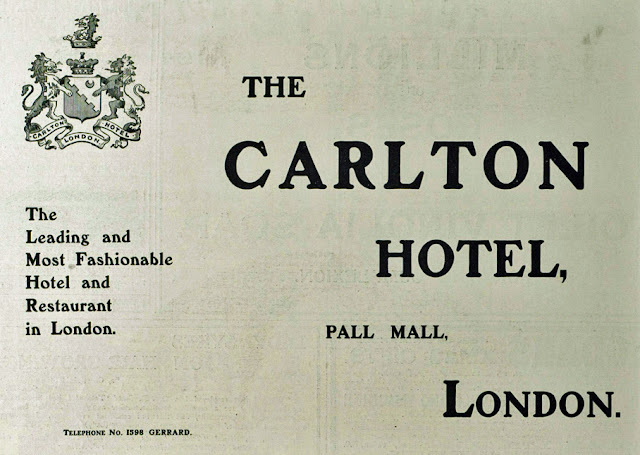 “What is the Carlton like for lunching in?” she asked breezily. “Let’s go and lunch there, shall we?” she suggested, and in a few minutes’ time the Smithly-Dubb mind was contemplating at close quarters a happy vista of baked meats and approved vintage. subsequent dishes were chosen in the same ambitious spirit, and by the time they had arrived at the wild duck course it was beginning to be a rather expensive lunch. The conversation hardly kept pace with the brilliancy of the menu. Repeated references on the part of the guests to the local political conditions and prospects in Sir James’s constituency were met with vague “ahs” and “indeeds” from Lady Drakmanton, who might have been expected to be specially interested. “I think when the Insurance Act is a little better understood it will lose some of its present unpopularity,” hazarded Cecilia Smithly-Dubb. “Will it? I dare say. I’m afraid politics don’t interest me very much,” said Lady Drakmanton. “Of course, you’re joking,” they said. “You asked us to lunch,” they exclaimed hurriedly. That seemed a more immediately important point to clear up than the question of identity. “You are Lady Drakmanton,” exclaimed the three sisters in chorus. appearance the lady who had just entered the room certainly came rather nearer to their recollection of their Member’s wife than the individual who was sitting at table with them. “Who are you, then, if that is Lady Drakmanton?” they asked in panic-stricken bewilderment. Financially speaking, they were well able to afford the luxury of an elaborate lunch, but their ideas on the subject of entertaining differed very sharply, according to the circumstances of whether they were dispensing or receiving hospitality. To have fed themselves liberally at their own expense was, perhaps, an extravagance to be deplored, but, at any rate, they had had something for their money; to have drawn an unknown and socially unremunerative Ellen Niggle into the net of their hospitality was a catastrophe that they could not contemplate with any degree of calmness. unnerving experience. They have given up politics and taken to doing good. 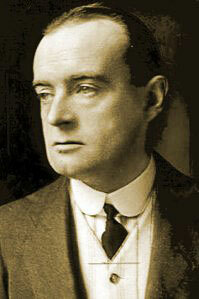 Hector Hugh Munro (18 December 1870 – 14 November 1916), better known by the pen name Saki, and also frequently as H. H. Munro, was a British writer whose witty, mischievous and sometimes macabre stories satirize Edwardian society and culture. He is considered a master of the short story akin to O. Henry and Dorothy Parker.